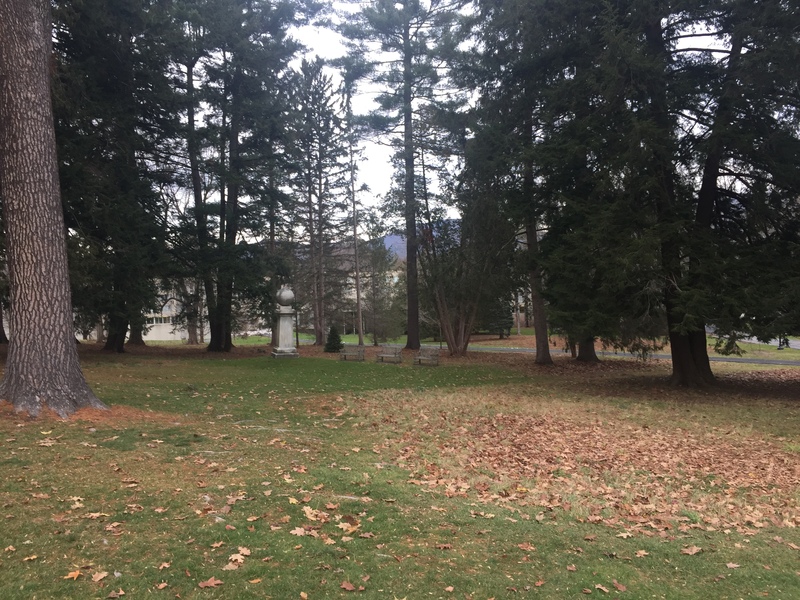 Some Williams College professors want ‘context’ for a monument to spreading the Gospel. On Sept. 11, 2001, after the attacks on the World Trade Center and the Pentagon, the Rev. Richard Spalding passed the Haystack Monument on his way to the chapel at Williams College. The modest marble pillar is nestled on the spot where in 1806 five students took shelter from a storm and pledged to spread the Gospel world-wide. In the twilight, the college chaplain noticed a group of students quietly praying at the monument, seeking solace from the day’s horrific events. He realized that, for some members of the Williams community, the unobtrusive monument is more than just a historic site that honors the founding of the Christian foreign-missionary movement. It is holy ground. He has a deep respect for the monument and the students who had prayed there. Yet today Mr. Spalding is a member of a committee to consider whether campus memorials and other spaces, including Haystack, contribute to an “unwelcoming” campus atmosphere. Mr. Falk ordered the painting covered while the committee conducted its work. The panel ultimately recommended the mural be uncovered and remain in place. Committee members suggested that a caption be installed to “contextualize” the work, that a website with background material be developed, and that the college consider bringing in “indigenous artists” to respond to the mural. Mr. Falk’s charge also included a directive to consider other campus spaces that could be “problematic in a modern context,” that is, potentially triggering for those who regard themselves as perpetually oppressed. Williams seems to be adopting what is known in the academy as “contextualization”—a way to preserve history while providing alternate perspectives. In theory, it seeks to honor the principles of free speech, open debate and rigorous inquiry that are the hallmarks of a liberal education. In practice, however, contextualization often turns into an exercise in self-flagellation that provides the professional victim class the soapbox on which to air its latest grievances. How might Williams go about “contextualizing” the Haystack Monument? The monument’s bicentennial celebration in 2006 provides clues. The weekend events included twilight vespers, panel discussions on the meaning of mission work today, and Sunday worship services. But the event also featured a critical reflection in which Prof. Denise Buell argued that Christian missionary work is “a justification” for violent forms of cultural imperialism. All of this reflects what Glenn Shuck, a scholar who taught courses on the history of Christianity at Williams for over a decade, calls the college’s “ironic relationship” with the monument: It is a memorial to something important that happened on campus—but not something of which the college’s faculty is necessarily proud. According to Mr. Shuck, many Williams faculty members regard efforts to translate the Bible into other languages to spread Christianity as inherently racist and imperialist, a view he does not share. Despite the recent media tempest about the Haystack Monument, the statue seems relatively uncontroversial among students. I spoke with about 15 students walking by the monument this week, and none knew what it represented. Once told, not one took offense. Why would a college undertake a review of spaces and structures about which there is no current controversy? Perhaps, as class of ’62 graduate Herbert A. Allen Jr. wrote in a letterto The Williams Record, the college is simply trying “to stay ahead of intellectual lynch mobs.” But in suggesting, even inadvertently, that an unobtrusive monument to Christian missionary work is offensive, Williams has lent legitimacy to the perpetually aggrieved and has risked encouraging the piqued mob. Ms. Braceras, a lawyer, is editor in chief of NewBostonPost.com. Appeared in the December 9, 2016, print edition.